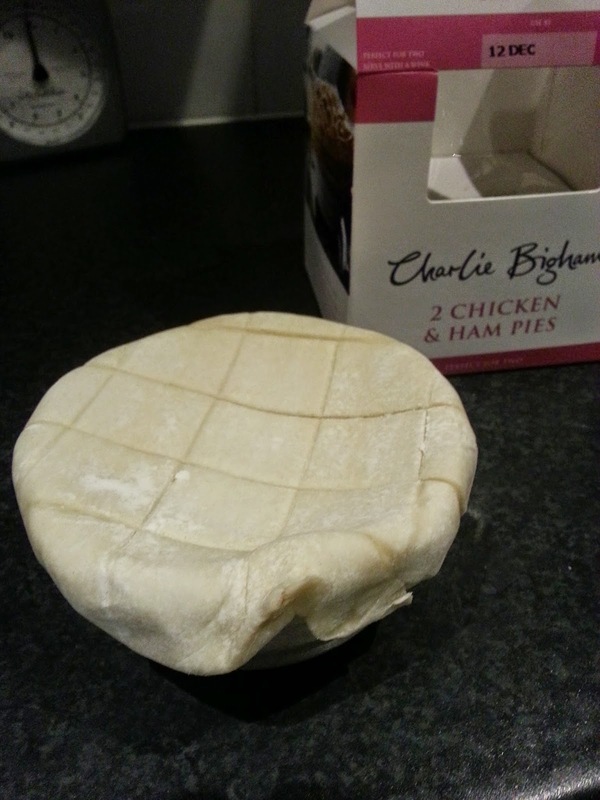 continue reading "Charlie Bigham pies - Will I bigham up?" 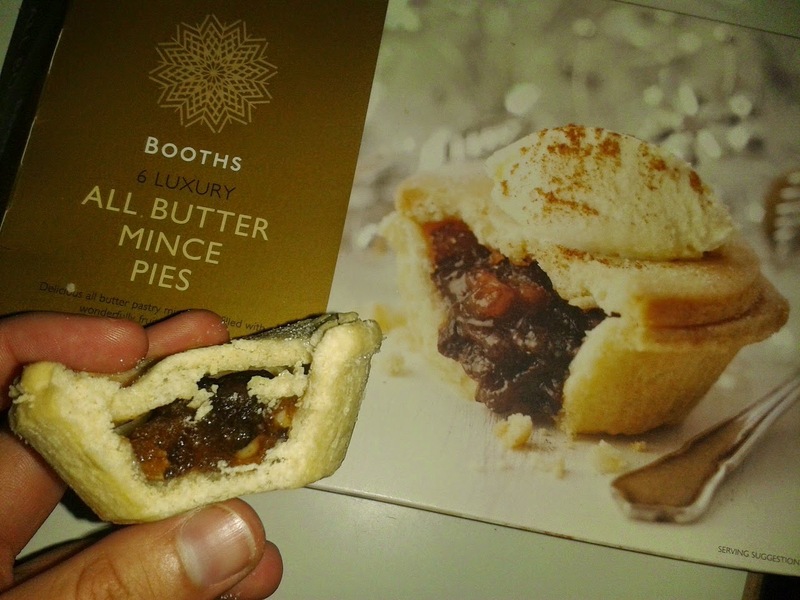 It seems every supermarket likes getting into the festive pie spirit and Marks and Spencer are no exception. With a fantastic range of mince pies in store, it was hard to decide which pies to pick up, particularly as a lot of the boxes of pies looked very similar to one another. 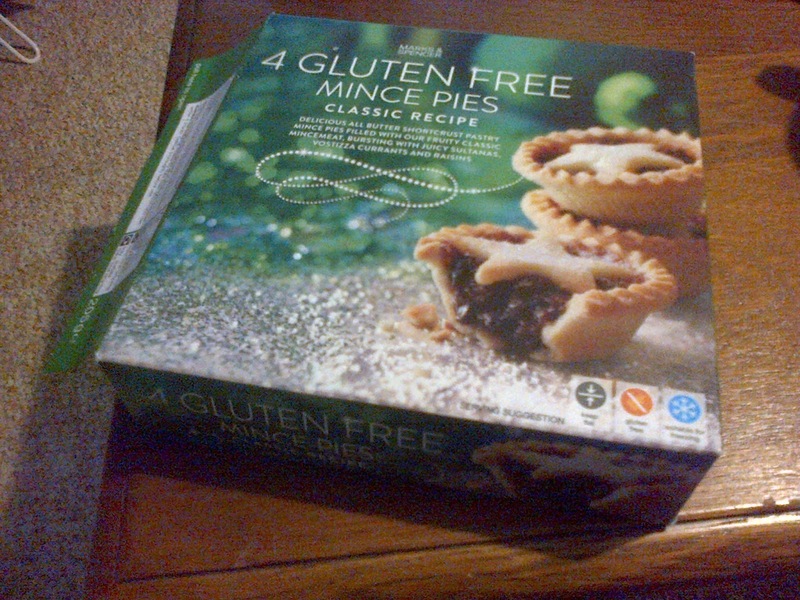 We’d already had our gluten free Pierateer ALE rate the gluten free Marks and Spencer mince pies, so – finding the descriptions on the box of the Marks and Spencer Classic and Luxury mince pies almost identical – Pierateer RAS decided to try and work out what the difference was between the two in a pie-off. 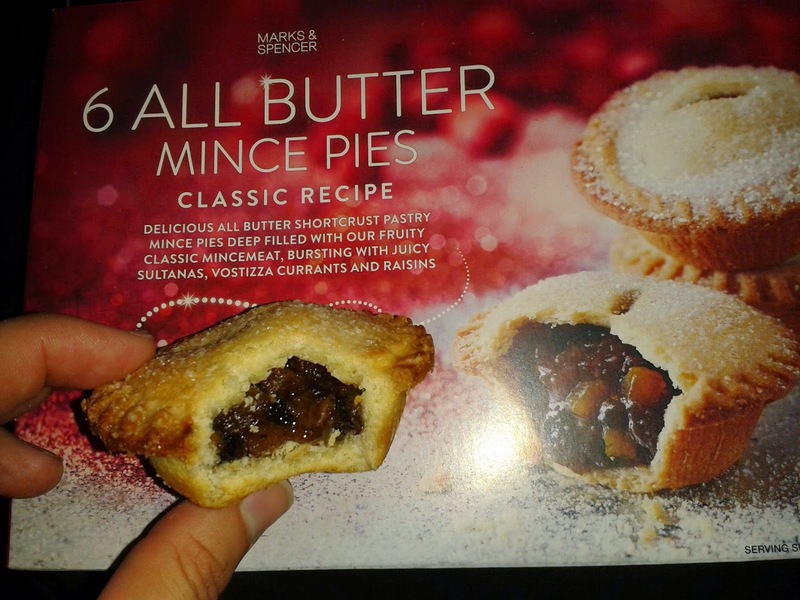 So what were the Marks and Spencer Mince Pies like? And what was the difference? Well, the most noticeable difference was the price. 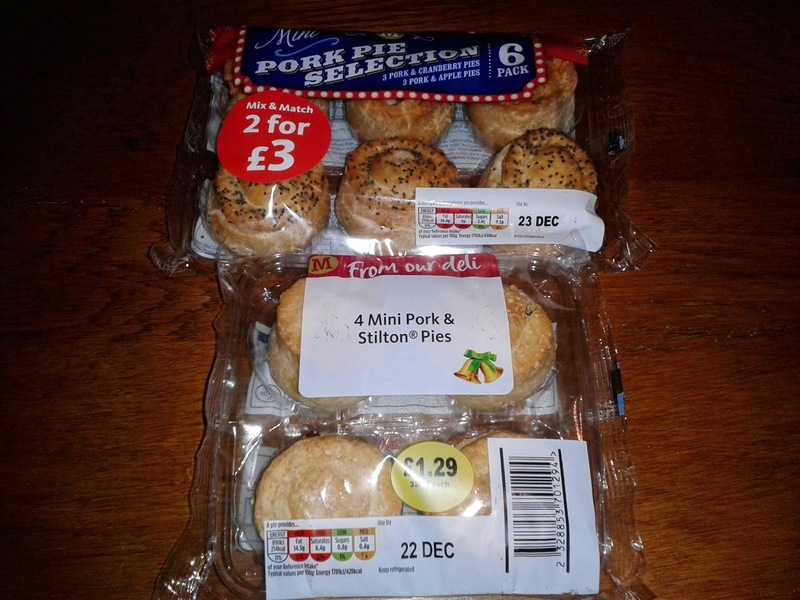 The classic pies cost £1.80 for a box of 6 mince pies or 30ppp, compared to £2.50 for a box of 6 luxury mince pies at 41.6ppp, which makes them some of the more expensive boxes of supermarket mince pies this Christmas time. 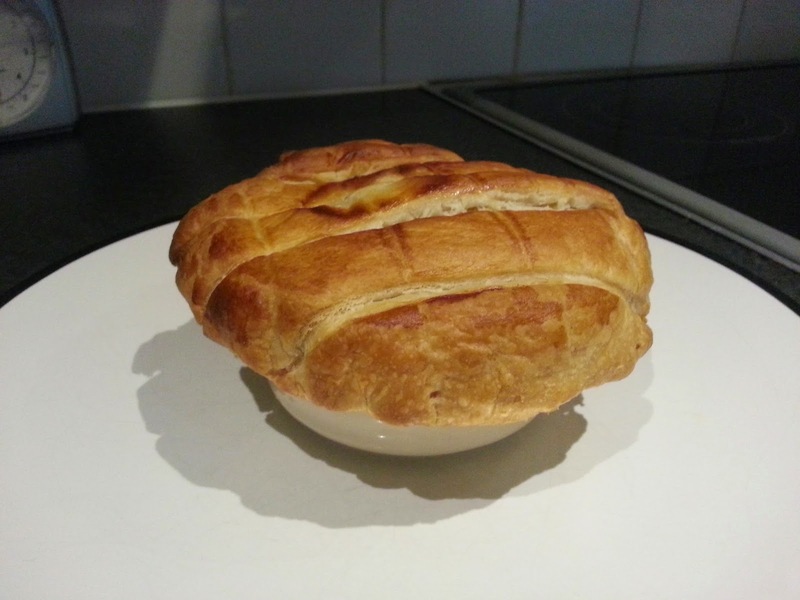 However at Pierate HQ it’s not all about the price – it’s about whether the pie is worth the price! The pies came in good condition, though the classic pie had a rather plain lid compared to the more elaborate design of the luxury pies, which incorporated a snowflake. However the lid of the luxury pies were quite inconsistent, with some lids slightly uneven and sticking to the foil casing, thus breaking the lid off the pie when trying to eat them. 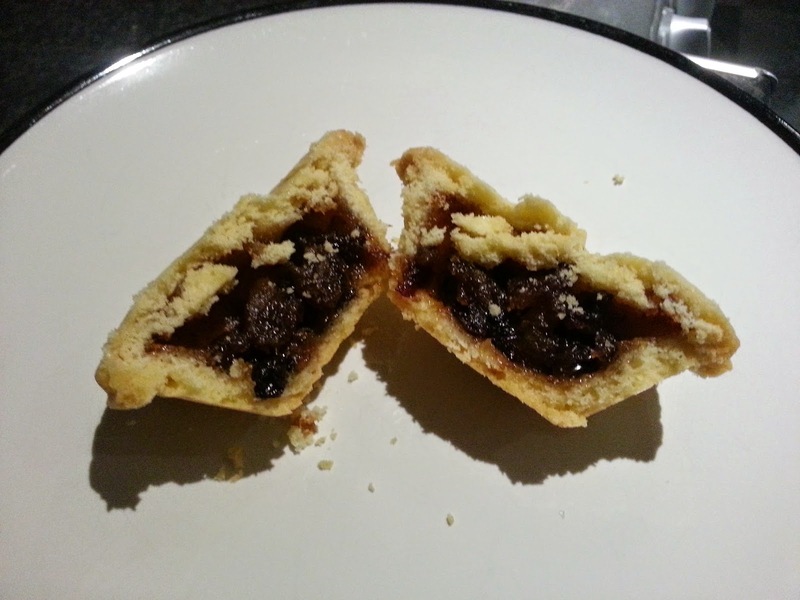 The colour was quite good for mince pies – though there was a significant contrast from the darker, crisper edge pastry that created a reasonable overhang to the lighter, central pastry. 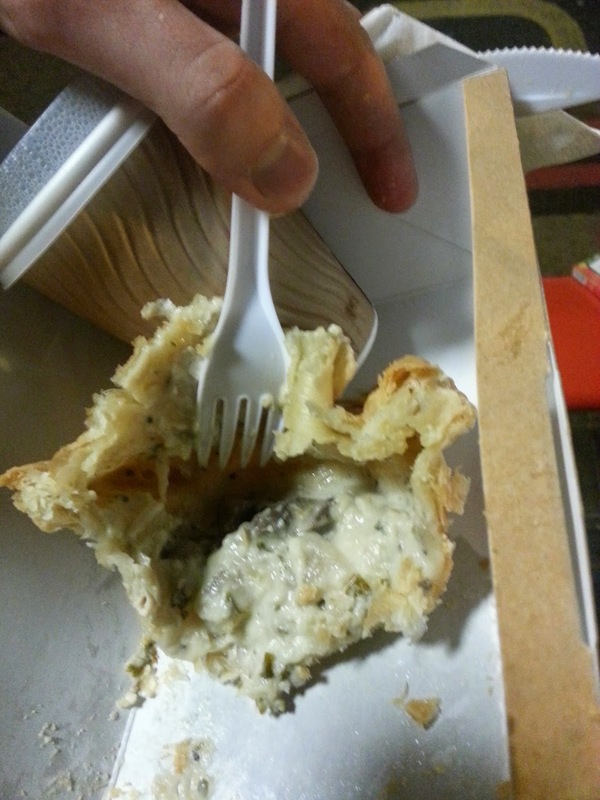 The pastry was nice and crisp without being dry, crumbling easily in the mouth. 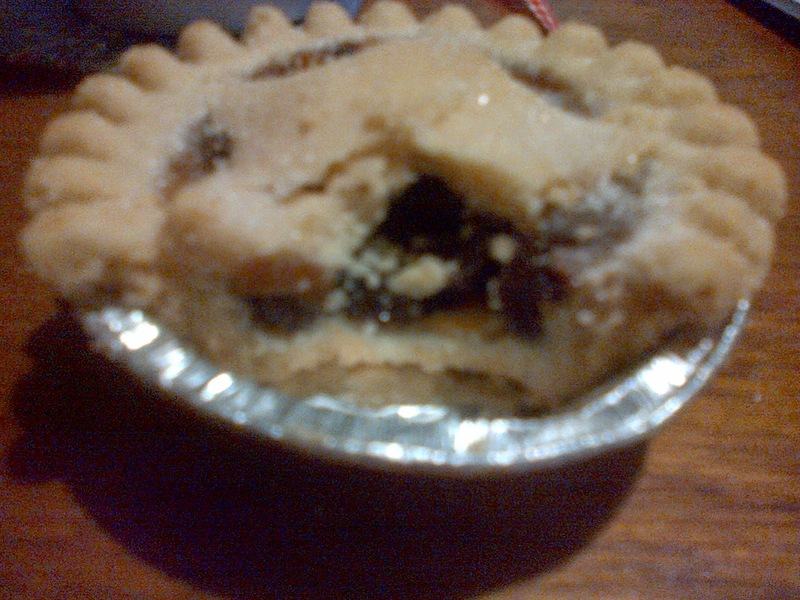 Inside both pies there was a reasonably strong capacity of mincemeat, with clear fruity pieces and a nice moist filling. The content wasn’t too chewy, which was good, and was consistently well filled throughout the pie. The filling tasted very similar between the two – very fruity sultanas, currants and raisins. 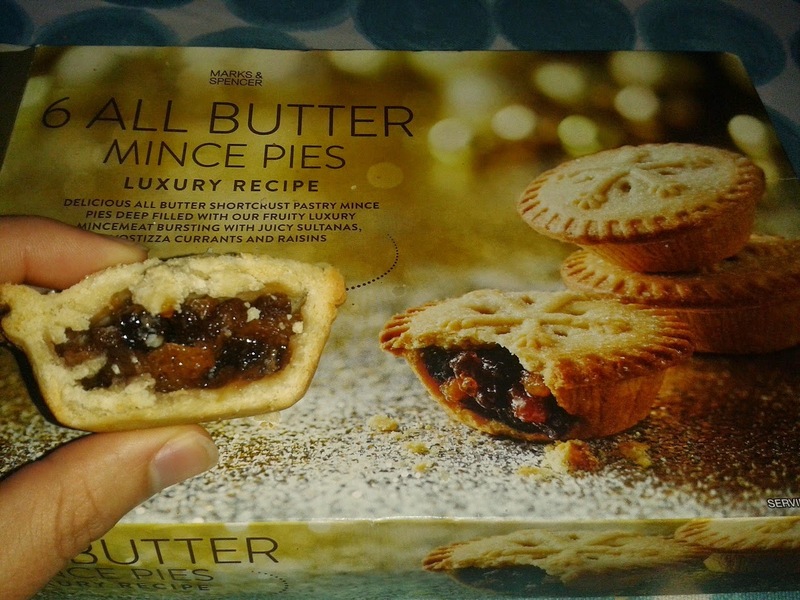 All in all, both were nice Christmas mince pies which I’d certainly want to eat again, even if they were a little more expensive per pie than most other supermarket pies. With a full 11.6p per pie difference between the two, I’d say there isn’t a noticeable enough difference to warrant paying the extra for the luxury pies, even if they do look a bit nicer. 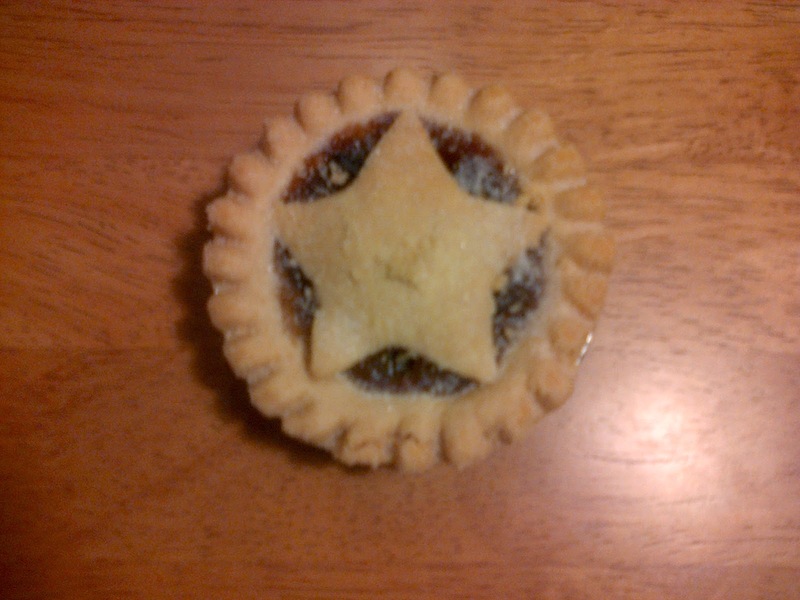 But two more Pierate Recommended mince pies none the less! continue reading "Marks and Spencer Mince Pies go head to head"
You may remember that last Christmas we rated the Harrods Luxurious Mini Mince Pie Selection, which contained nine mini pies of three different flavours and featured in the “12 Pies of Christmas” music video we made. 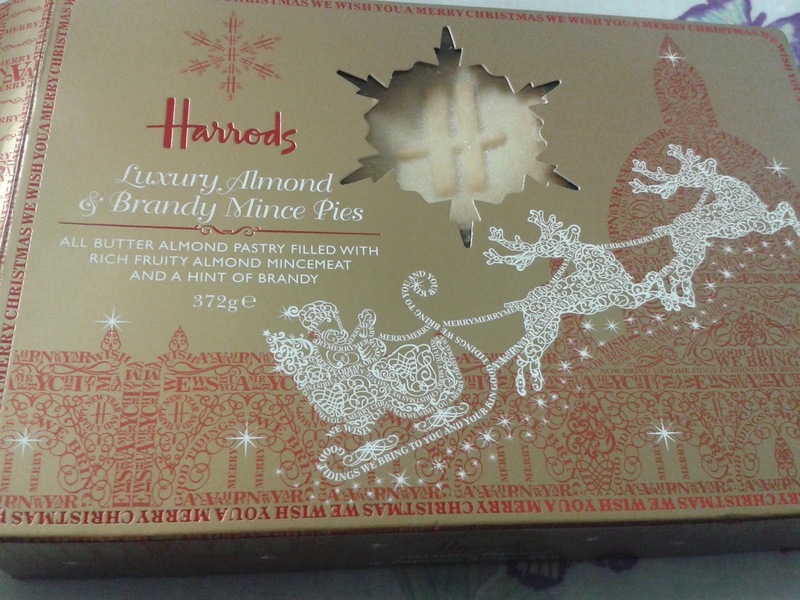 This year we were back in Harrods and picked up their Luxury Almond and Brandy Mince Pies. 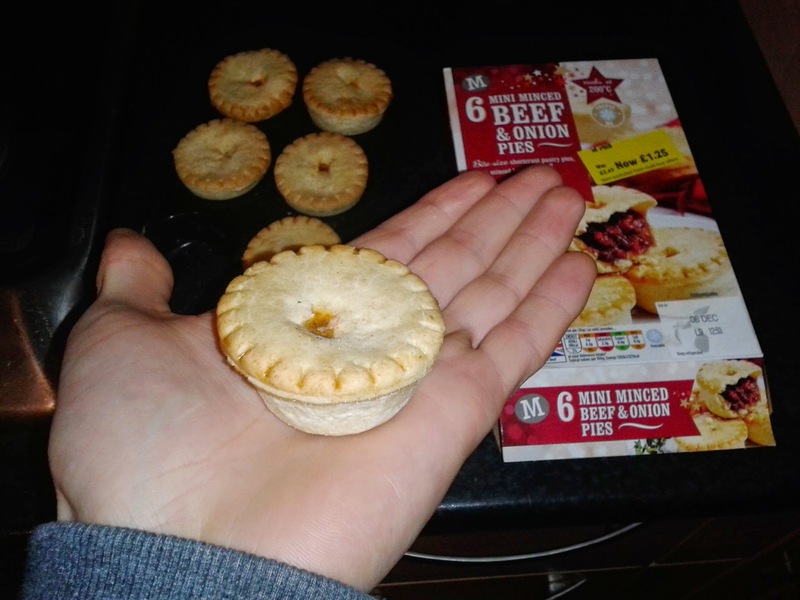 These were full-sized mince pies this year – in fact, probably slightly larger than the average supermarket mince pie, but at a whopping £9.50 for a box of six – that’s 150ppp and easily the most expensive mince pie we’ve rated! – can the Harrods pie really live up to expectation? Well the mix of the fruity filling and almond made this pie taste significantly different in filling to many mince pies out there. You also definitely get a bit of a taste sensation with the brandy, providing a bit of a late kick. 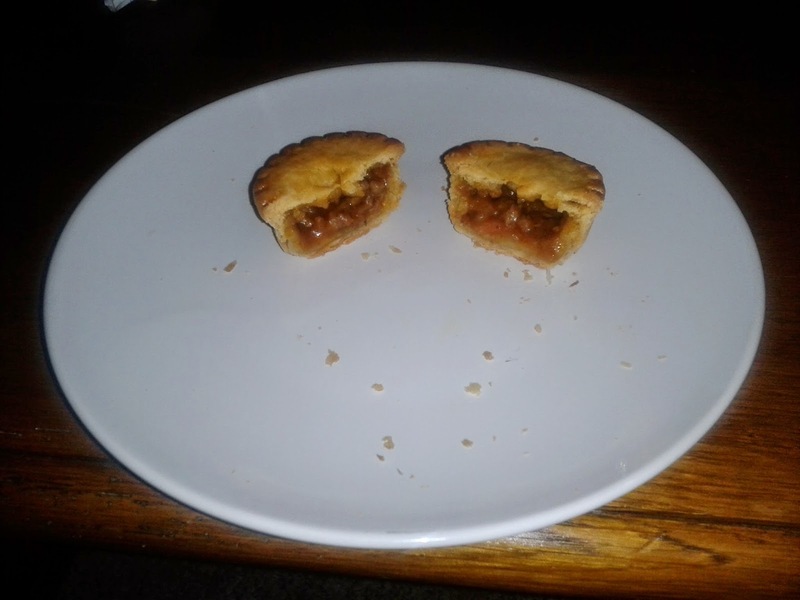 One of the issues with this flavoured pie last year was that the ratio of pastry to mince meat was too much on the pastry side, and while the larger pie this time did improve the balance, it was still too pastry heavy. The pastry was rather thick and too dry, not quite balanced well enough by the fruity filling. The filling needed to be a bit moister to balance the pastry better. The capacity was not perfect but pretty good, and with a nice fruity filling it was really just lacking a bit of moisture in the content to be even better. Altogether the pie tastes nice, the crunch from the almond was good, and the flavour lingered nicely after eating. 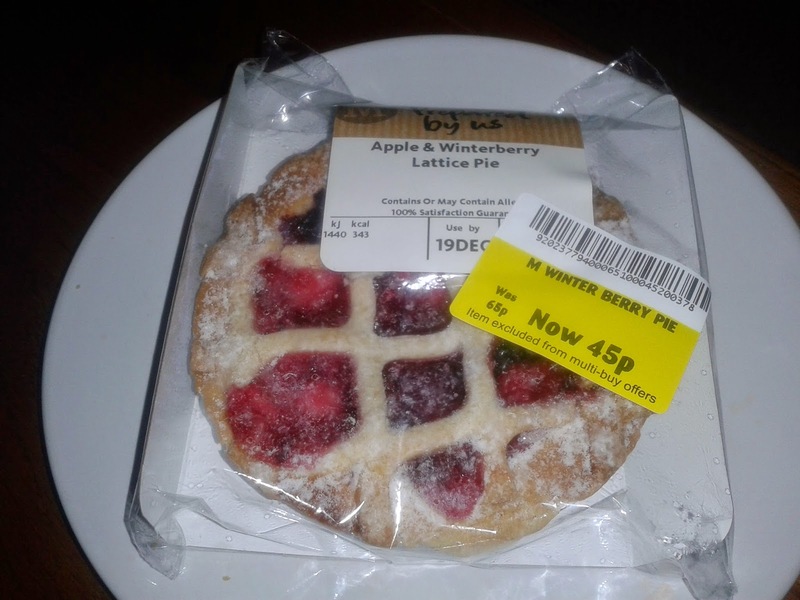 That said, it was again rather expensive for the privilege at £1.50 for a standard sized mince pie. A posh alternative, but I wouldn’t rush back to get these on my Christmas dinner table again next year. continue reading "Should you hurry to Harrods for mince pies?" 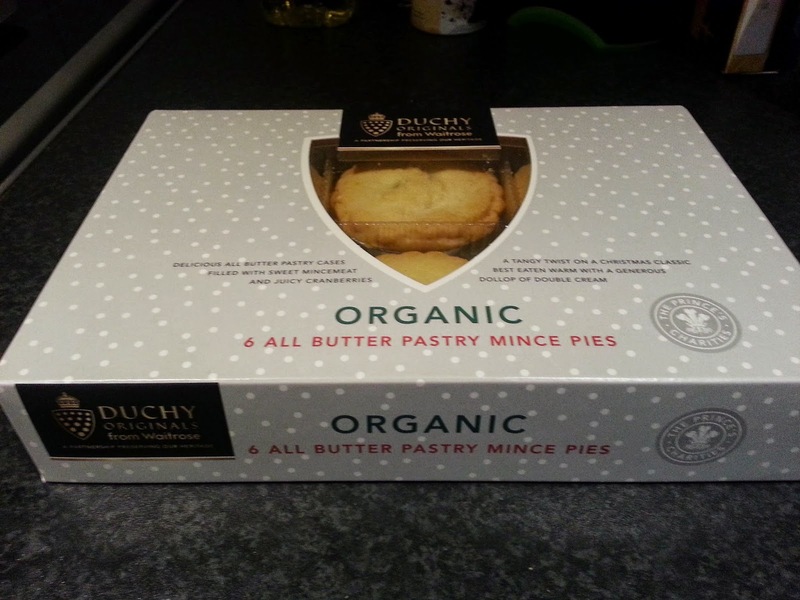 continue reading "Boxing Day Pies - Pieday Friday - 26th December 2014"
continue reading "Duchy wish your mince pies were just like these?" 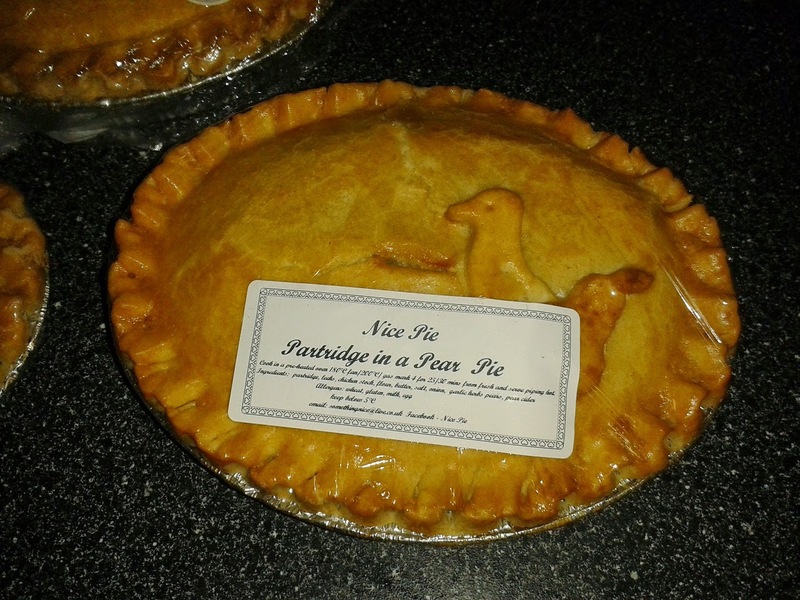 continue reading "And a Partridge in a Pear… pie?!" continue reading "More Merry Christmas"
What is it with this weird rectangular lid thing?! 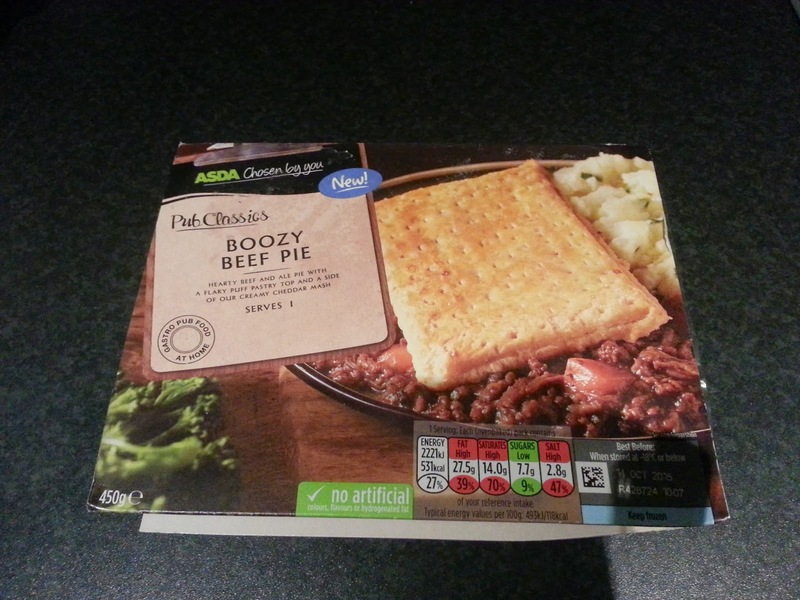 If you've been keeping a close eye on your ASDA frozen section, you'll probably have noticed some new enticing additions to the pie section. 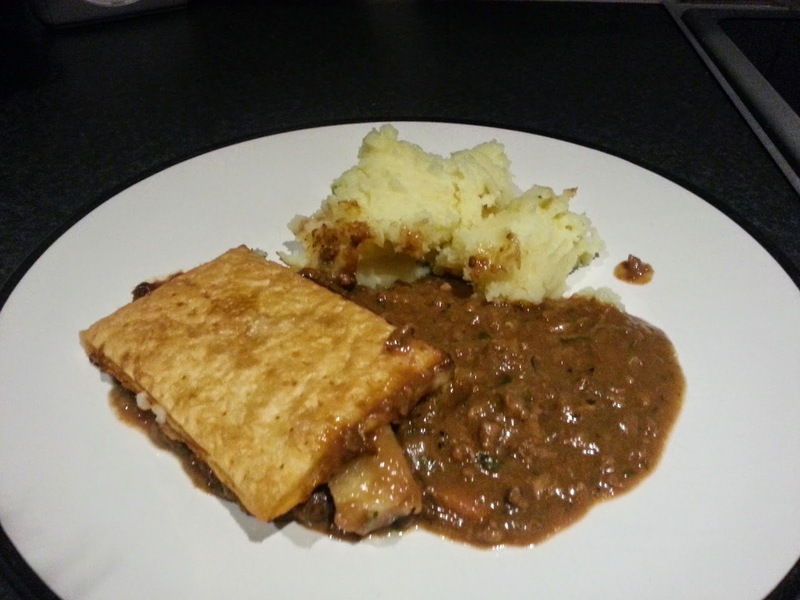 One of these new additions was this 'Pub Classics' Boozy Beef Pie. Let's see how it rates. What is this?! Oh no! Another top-crust pie with a strange rectangular lid embedded with machined-like dimples? Argh! This reminds me of this "pie" from Kershaws. It's most bizarre. Now that ASDA are getting in on the act, it does make me wonder - am I missing something here? Is this actually some sort of traditional type of pie that I don't know about? One where you get a pool of slop and lay a weird pastry sheet on top of it? Please comment below and put me out of my misery. Anyway, it's very clear that this is not a pie. There are no definable pastry base and sides - it doesn't even come in a pie dish. Bit of a shocker here from ASDA. But there was one saving grace: at least it was better than that Kershaws pie I had. I felt the lid was a bit thicker and crunchier than Kershaws, and was also a nicer golden brown colour. The pie filling actually tasted really quite nice - a good hint of ale, and also quite herby. The consistency was, as you can see in the photo, far too runny, with not nearly enough chunks of meat, but at least the meat was there didn't come in creepy meat cubes like in the Kershaws offering. At £2, this is a reasonable price I suppose, considering you get the mash too. However, it barely meets the definition of a pie and so loses a tonne of points there, plus it also didn't do anything to fill me up. And finally, I am not a fan of this rectangle lid thing that ends up swimming on top a pool of fibrous gravy. It's not a good look and it doesn't make for a good meal. continue reading "What is it with this weird rectangular lid thing?!" We were delighted to once again be able to chat pie on BBC Radio's The Mark Forrest Show last night, having previously been on the show back in May! Following the above mentioned appearance on BBC Radio's Mark Forrest Show, were were delighted to be called some of the country's biggest pie fans! You just could not make this stuff up! There has been reported turmoil at the World Pie Eating Championships - held where else but Wigan. 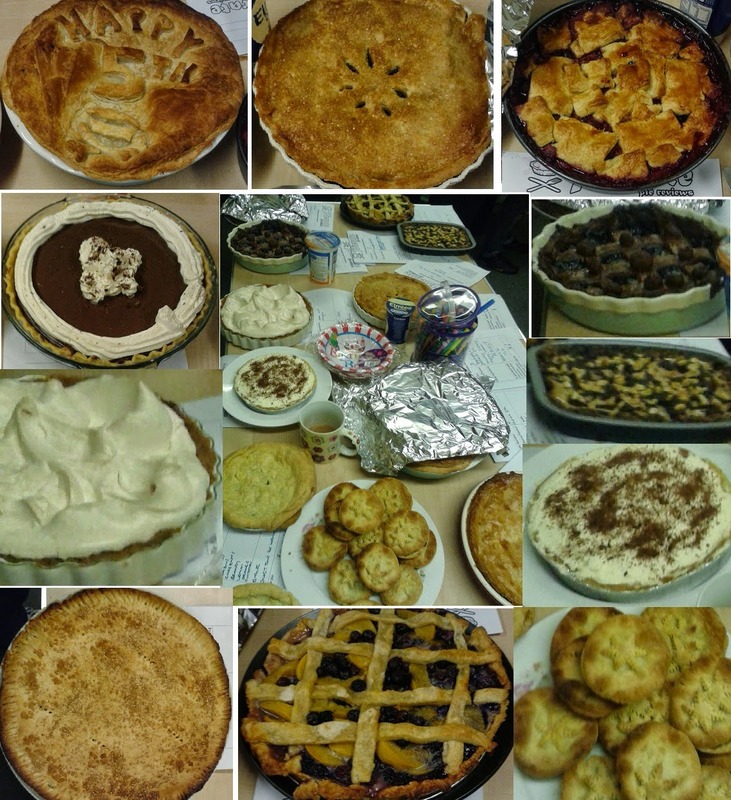 Over-sized pies were sent to the venue, meaning competitors were asked to eat half a pie in record speed, something that was then not accepted as an official result. You can read more about the rules and regulations in this BBC News article. Yes... incredibly this pie does exist and we are looking forward to rating it! 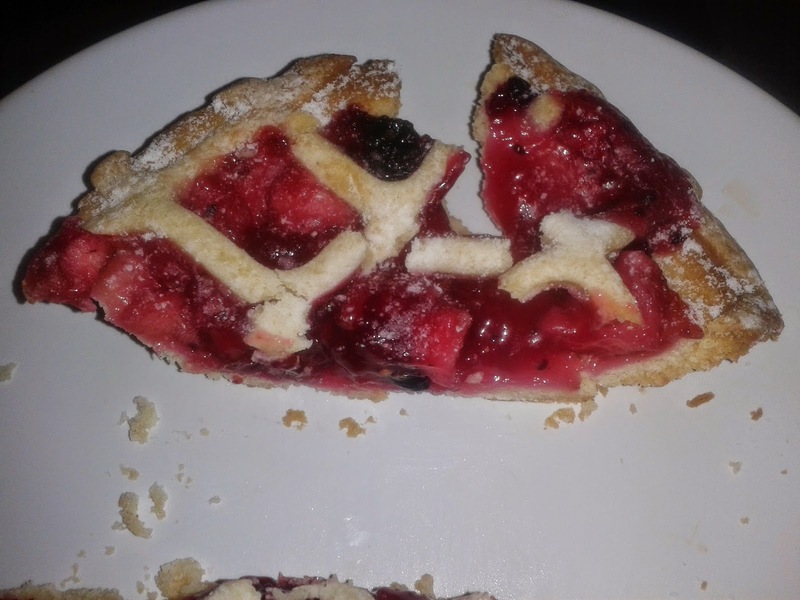 We're not quite sure what to expect here at Pierate HQ but we're grateful to Nice Pie for sending us one to rate this Christmas time! 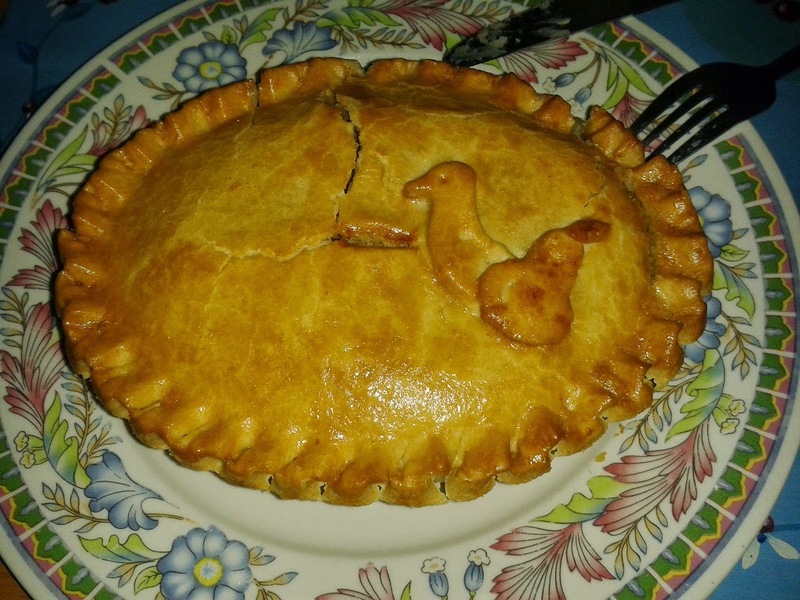 In the meantime, check out all the exotic Nice Pie reviews we have already done, including camel, squirrel and crocodile! The Pierateers have rated pies in grounds up and down the country - even appearing on the BBC to offer our pie advice! - and are looking to expand the number of pies in their Pieremiership table! But in amongst all this, they also keep their eyes on the pies for significant summer transfers, which includes changing pie suppliers at our country’s football clubs. One such club who have made a substitution this summer are Wycombe Wanderers, who you may already know are the local club of the Pierateers following the Morecambe pie visit earlier this year. 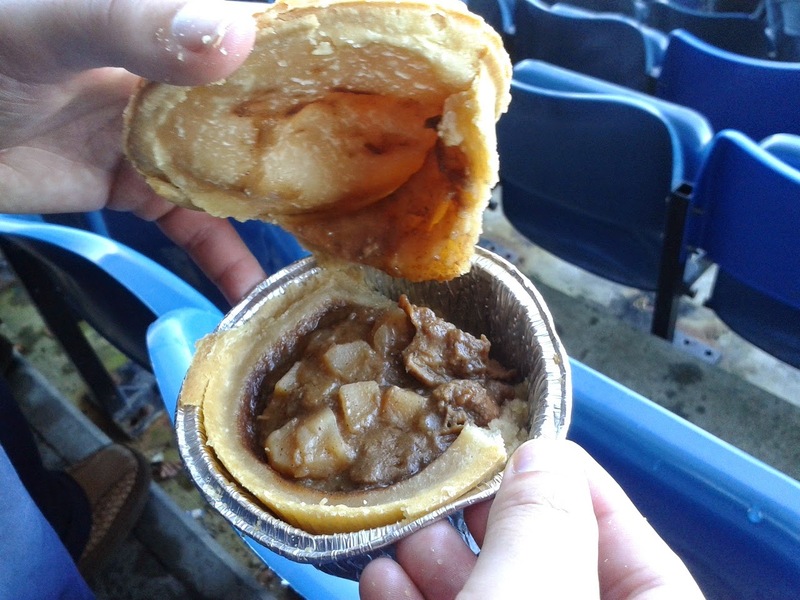 Find out how we rated the new pie offering at Adam’s Park – made by Phat Pasty Co. – as Wycombe Wanderers took on Southend United. 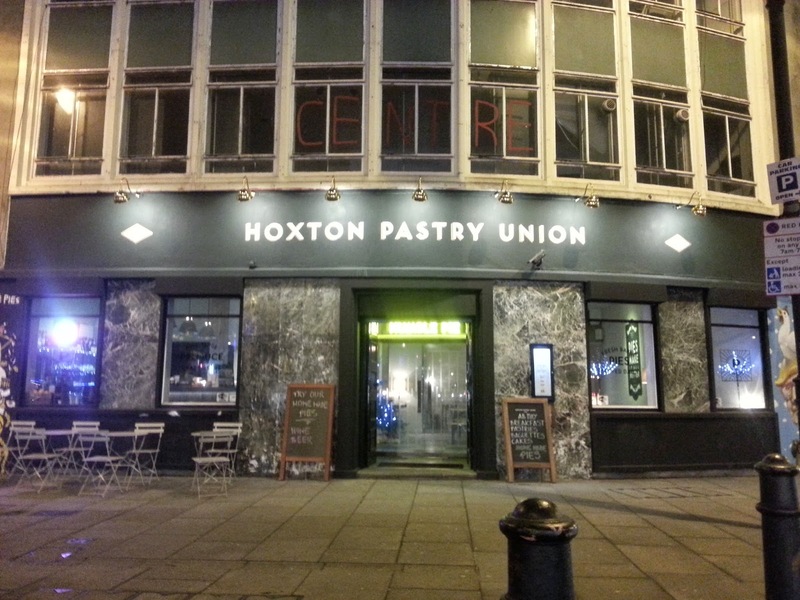 continue reading "Pierate on BBC Radio again - Pieday Friday - 19th December 2014"
continue reading "Do pies make it all better at Hoxton Pastry Union?" continue reading "Will the Wycombe pies be a phat lot of good?!" 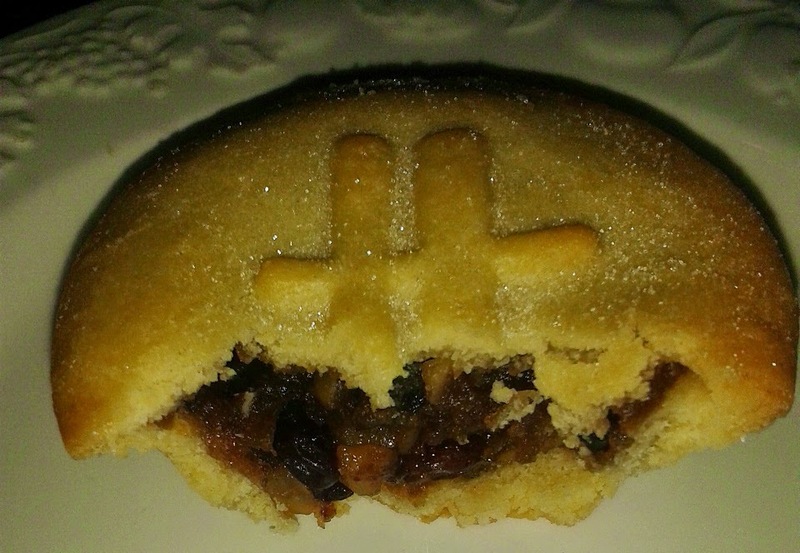 The 12 Pies of Christmas - re-visited! It’s hard to believe that it’s almost a year since our '12 Pies of Christmas' music video was launched! Sure, it may be an overly repetitive song and the budget for the video was not exactly breaking into the millions, but it was good fun to make and – let’s face it – a great excuse to eat lots of festive pies! Check out the 78 pies that feature in this music video here or click here to read the reviews of all 12 pies – 4 turkey and 8 mince pies! There are a few “Highly Recommended” in there too! In addition, why not check out our interactive pie rankings table and click on “mince” to view all our Christmas mince pies? Just one of many recent developments on www.pierate.co.uk! 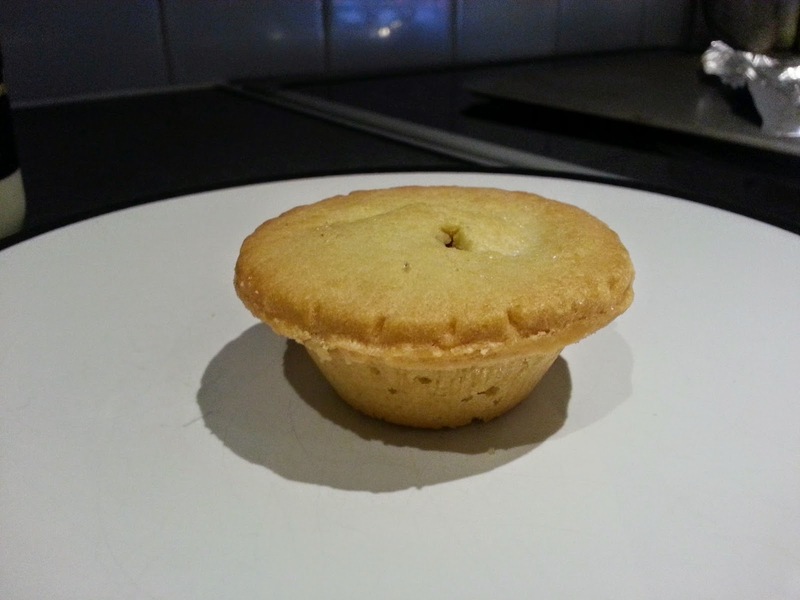 Avoid mince pies at Christmas?! Jog on!!! There's always someone there to bring the mood down at Christmas, isn't there! Call them the Grinch or whatever else, but a top nutritionist in the Daily Mail has advised missing out on Mince Pies this Christmas because they have worked out it takes on average a 45 minute jog to burn off the calories in each and every Mince Pie! 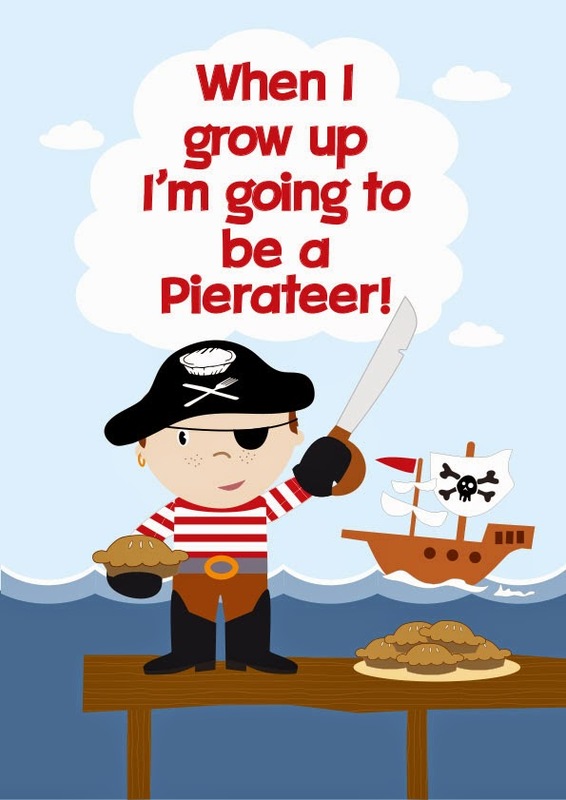 You won't be sur-pie-sed to find we're ignoring this advice - instead reminding ourselves of how Pierateer SJL lost weight over British Pie Week on a pie-focused diet! One such club who have made a substitution this summer are Wycombe Wanderers, who you may already know are the local club of the Pierateers following the Morecambe pie visit earlier this year. 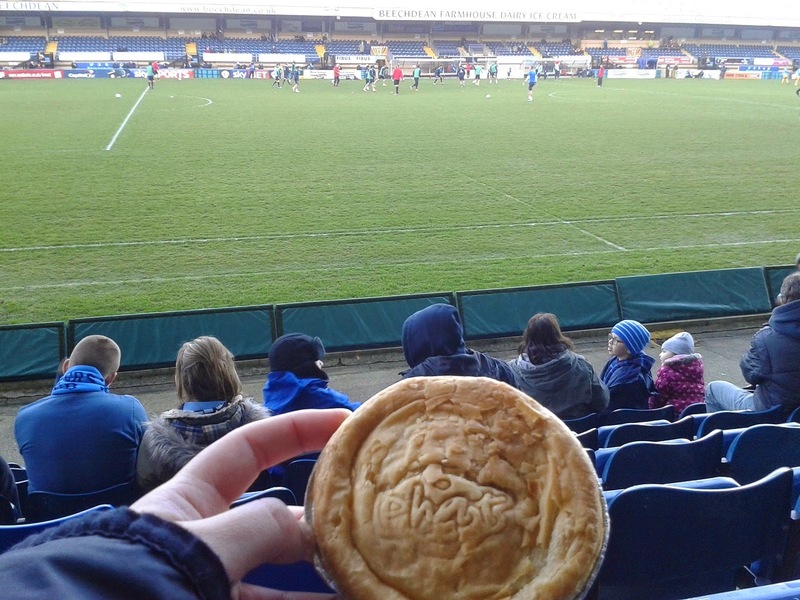 We rated their Peter's Pies at the ground in January and this Saturday we’re going to be rating the new offering at Adam’s Park – made by Phat Pasty Co. – as Wycombe Wanderers take on Southend United. Will they hit the back of the net?! Here’s hoping for a better result than when we tried the pies at Portsmouth earlier this season! 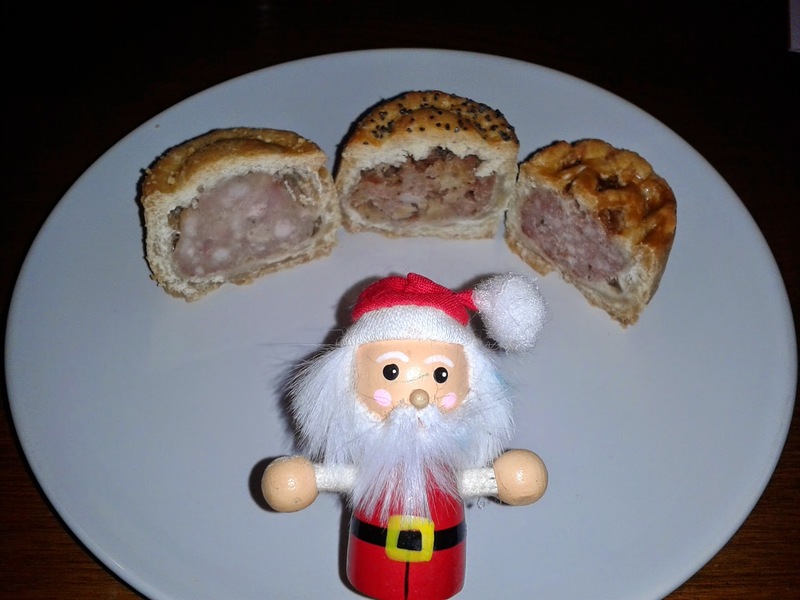 continue reading "12 Pies of Christmas re-visited! 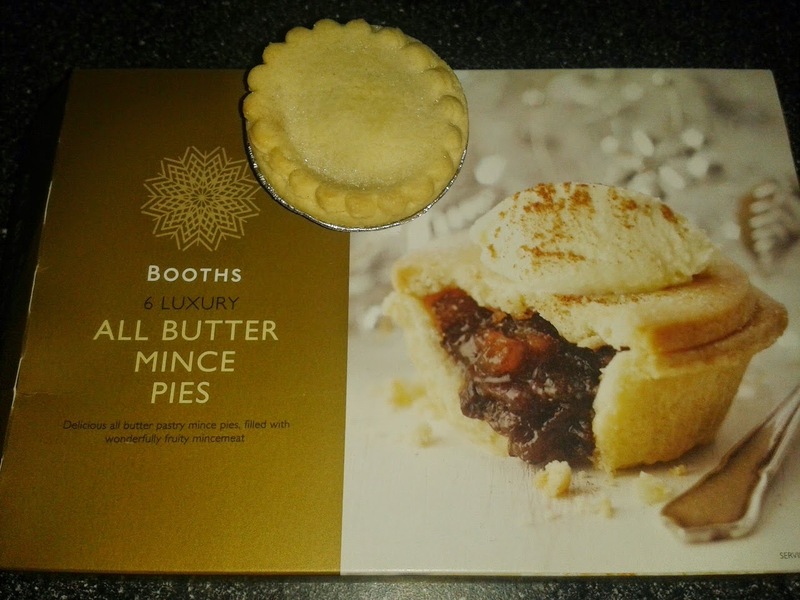 - Pieday Friday - 12th December 2014"
continue reading "Do Booths Luxury Mince Pies butter me up?" 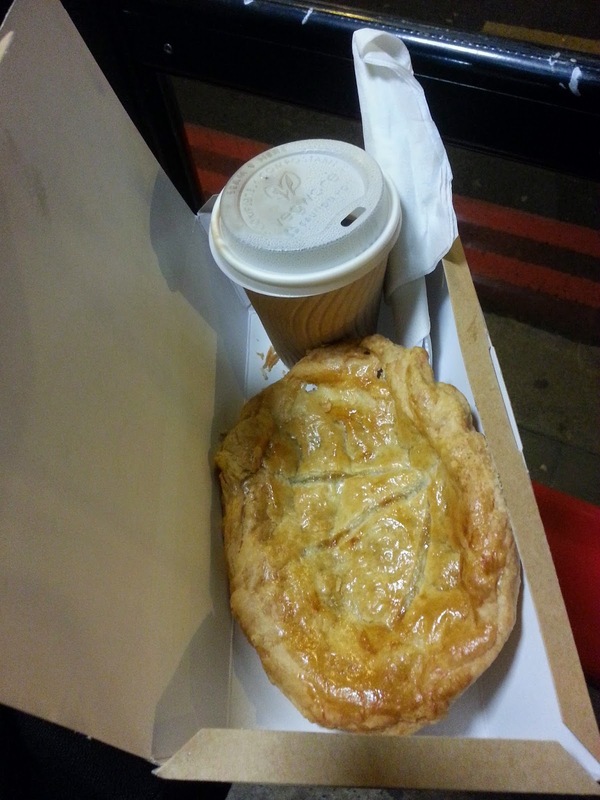 You may remember that the Pierateers did a joint pie review of the Fuller’s Ale and Pie House chain back in March 2013, with all three Pierateers enjoying the various pies that they ate at a very reasonable price of £9.75. Well fast forward 14 months to May 2014* and we decided to once again stock up on a pie from the Old Joint Stock to see how their pies were fairing on the 7 Cs. 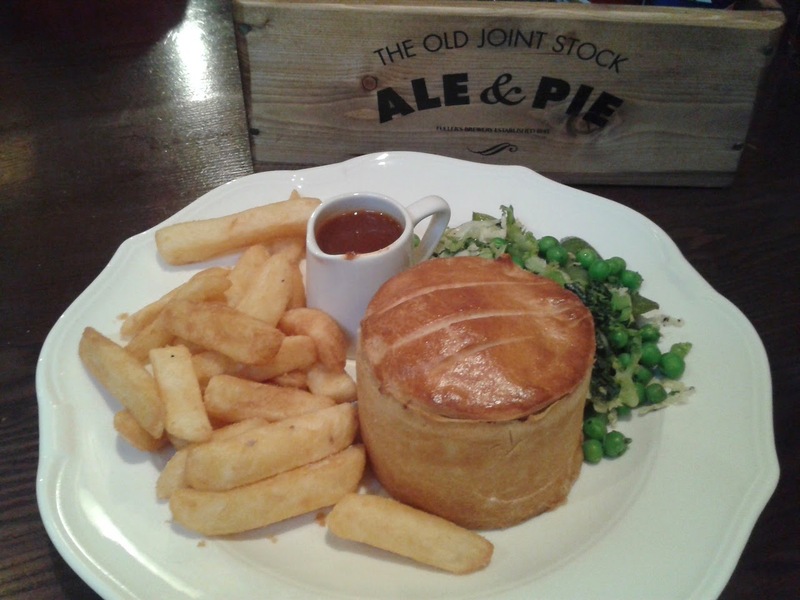 *Please note that this is a rating of the Old Joint Stock pie eaten on 6th May 2014 and reviewed shortly afterwards, which has only recently been found to not have been posted on the blog yet! Oops! 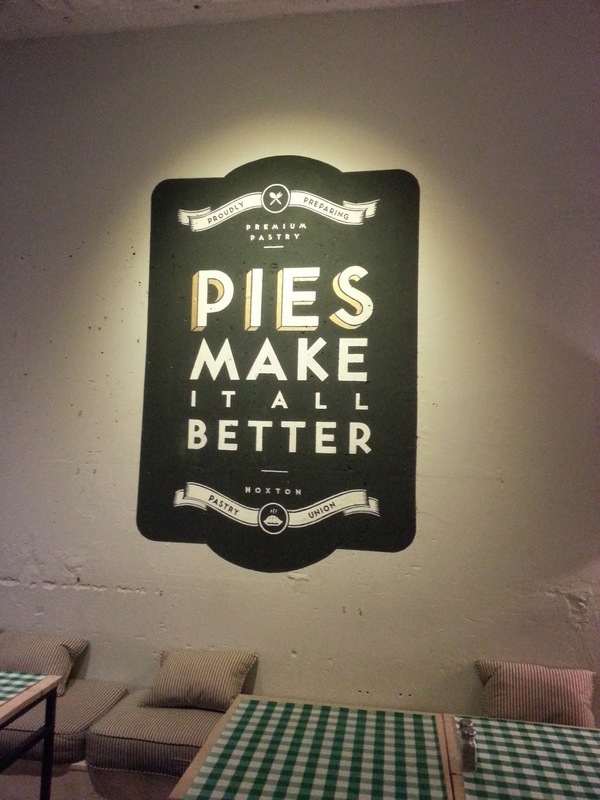 Therefore – as with any of the pies we review – the pie may well have improved since the pie was rated (back in May). 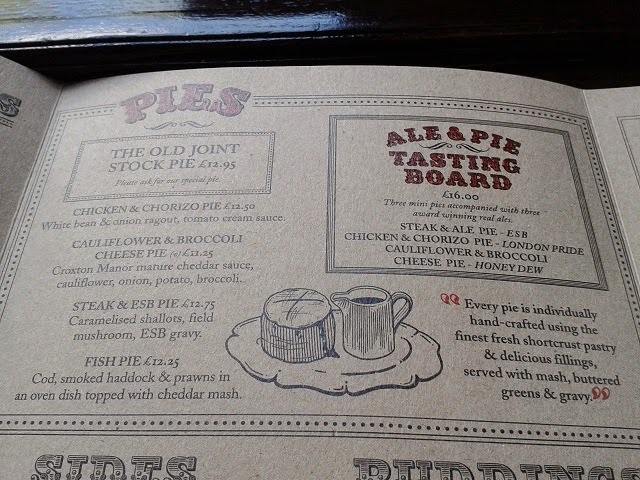 This was once again a group outing to the Old Joint Stock, though this time it wasn’t fellow Pierateers but good friends of the blog @CarolineS_Art and @justinmgardner, who also delved into the pie menu. 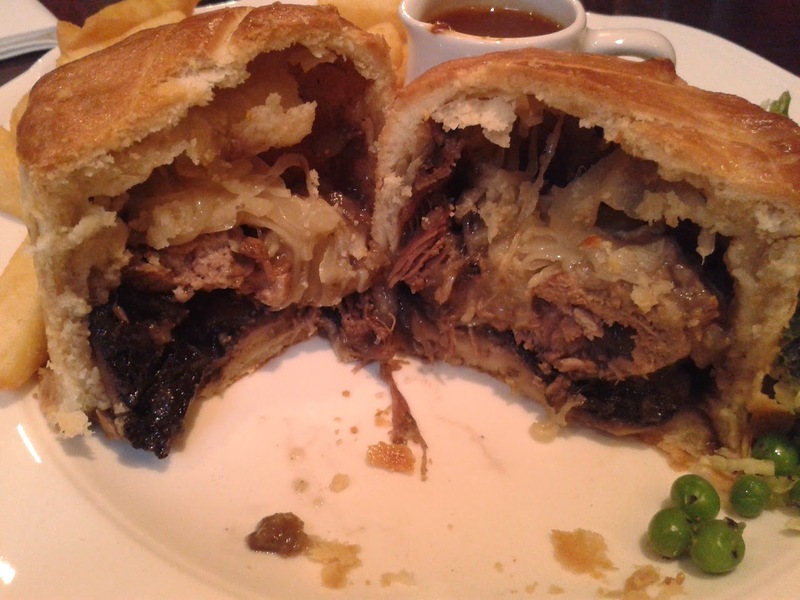 The pie Pierateer RAS went for was the Steak and ESB pie, compared to the Chicken pie he had thoroughly enjoyed on his last visit. It was immediately noticed that the intervening year had seen a quite significant price increase of £3 on the cost of a pie to a quite substantial sum of £12.75, but seeing as pie is what this pub chain is all about RAS had high hopes for a strongly scoring pie. As the pie was brought to the table, it was clear a lot had changed since his last visit on the pie front too. Not just the price, but the shape and the pastry lid toping too! Much smaller and thinner, but also taller, than the previous pie, they had also changed from a shortcrust base and sides but big puff pastry lid effort to a shortcrust all the way round style. 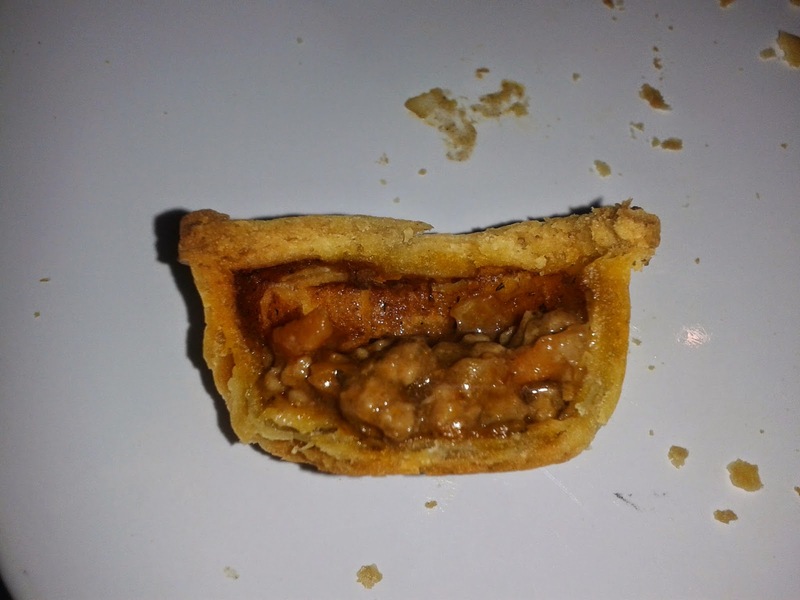 The summary of this was that Pierateer RAS felt the overall consistency in quality of pastry was stronger in this new version, as it had been noted the pastry varied in quality quite considerably in the last visit, but the lack of a puff pastry lid was a slight disappointment. However how would the capacity fair? Certainly I hadn’t rated many pies with such height before, but alas when cutting through the pie the disappointment was evident. The capacity was about two-thirds at best, and certainly not the well filled pie he had hoped for, considering it was quite a small circumference to the pie. The content was interestingly arranged, with a bottom layer consisting of one large field mushroom, topped with a decent layer of steak and then – in my view – a slightly excessive layer of caramelised shallots. The gravy seeped through it all, with a decent moisture to the pie contents, however there was a definite need for the additional gravy boat provided. We at Pierate have nothing against providing a gravy boat with a pie meal, indeed being very partial at times to a good gravy, but when we are assessing a pie we do expect the pie alone to be moist enough. 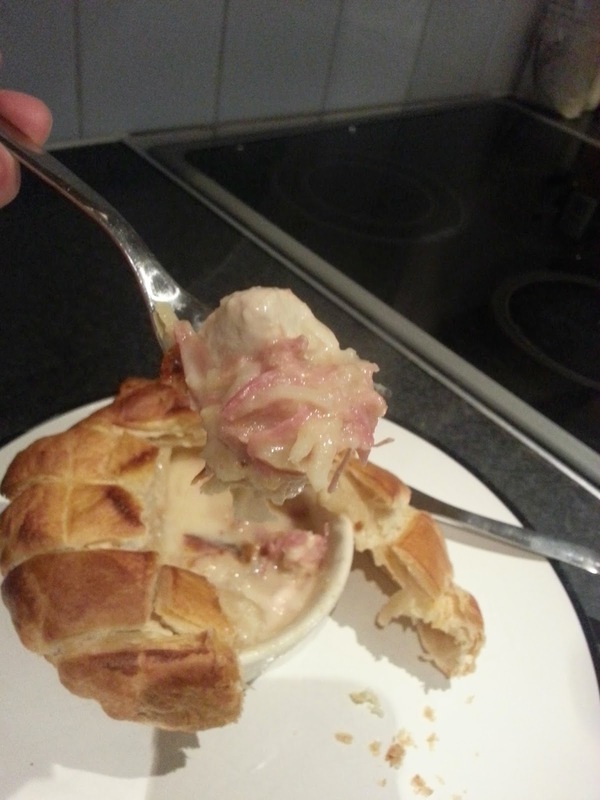 The filling certainly was, but as the content only filled about two thirds of the capacity, there was a lot of relatively dry pastry which certainly needed the addition of extra gravy. 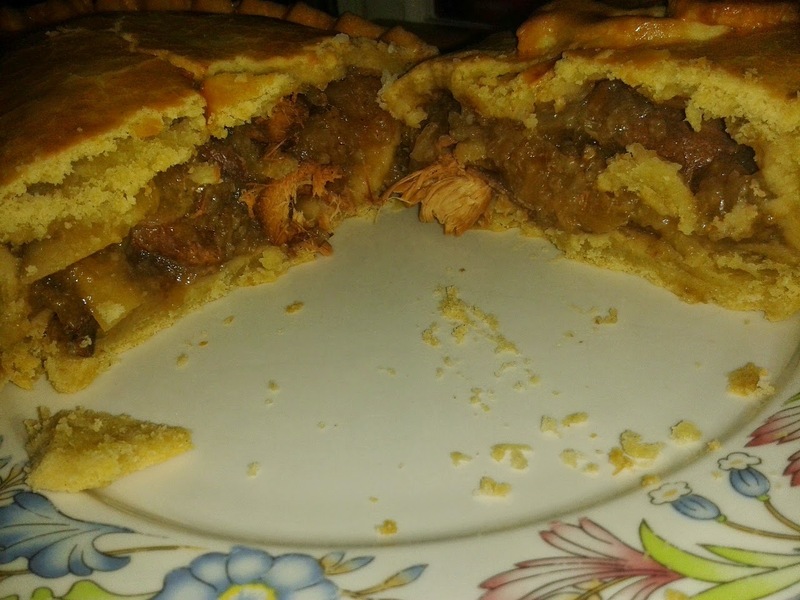 While the meat was very nice and tender, and the gravy added a nice flavour to the pie, the lack of content in what is quite a costly pie meal does hold it back from getting the high scores of our previous visit. 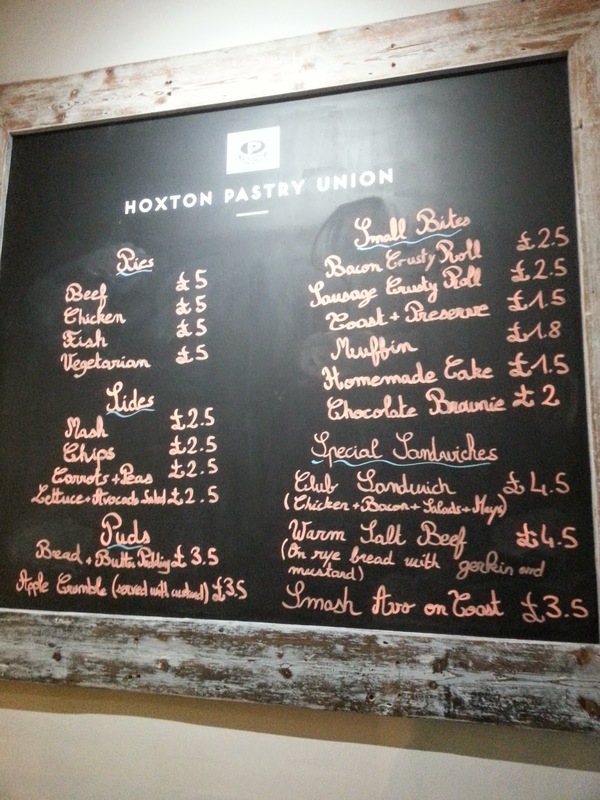 I would eat it again but would certainly peruse the rest of the menu first. 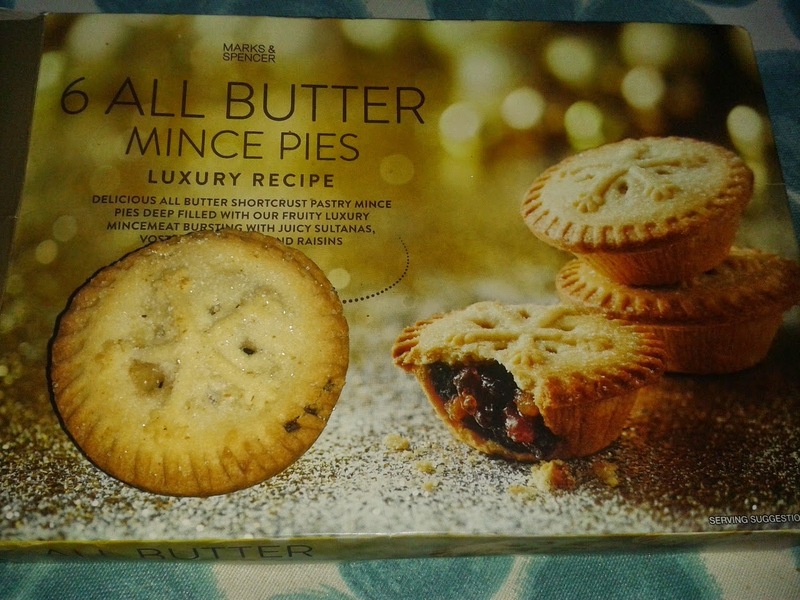 continue reading "Re-stocking up on the Old Joint Stock pie"
continue reading "Petitions and Mince Pies - Pieday Friday - 5th December 2014"
continue reading "M & S shine like stars"